The U.S. Army Audit Agency (USAAA) has long recognized the value of its most important resource--its people. 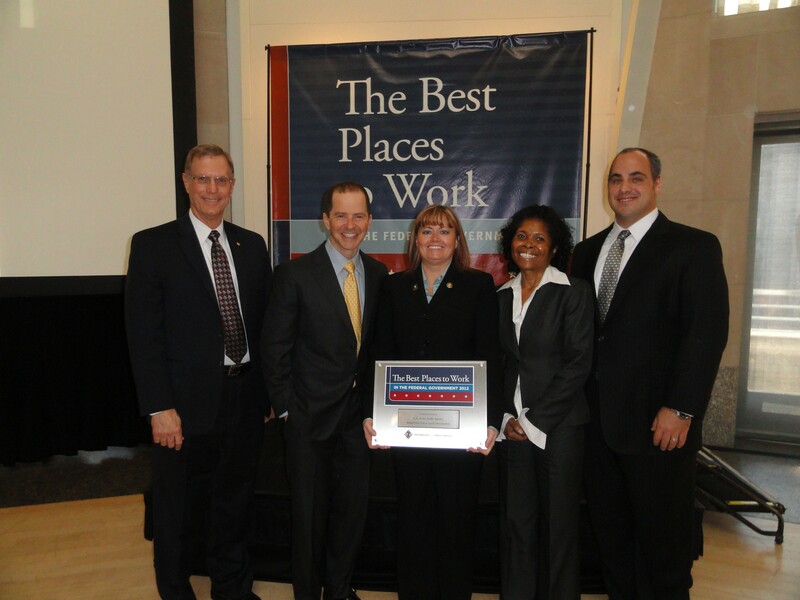 On 13 December 2012, The Partnership for Public Service announced the 2012 Best Places to Work in the Federal Government rankings during a breakfast ceremony at the Ronald Reagan Building Pavilion. USAAA placed 1st among 292 Agency Subcomponents entered in the competition! This is the third consecutive year the Agency has placed in the top three (and the Agency has only competed three times)! 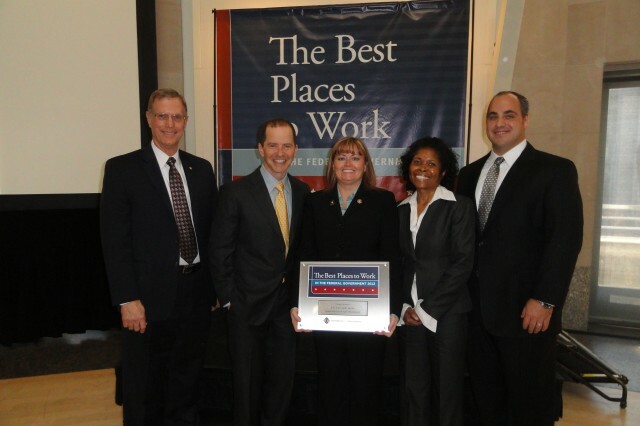 In 2010, the Agency placed second among 224 participating subcomponents and in 2011, the Agency was once again rated as one of the Best Places to Work in the Federal Government, placing second among 240 subcomponents. The rankings for the Best Places to Work come from employee satisfaction surveys taken by nearly 700,000 federal workers in 362 federal agencies and subcomponents and are generated by the Office of Personnel Management. The rankings are categorized into four groups: Large Agencies, Mid-size Agencies, Small Agencies, and Agency Subcomponents. Along with overall employee satisfaction, the survey responses are also graded on other categories such as effective leadership, employee skills/mission match, pay, teamwork and work/life balance. This year, the Agency's satisfaction score was 85.7 out of a possible 100 points, an increase of 5.3 percent from 2011 and the highest score of all government-wide rankings. When Agency employees were asked what are the top 5 reasons why the Army Audit Agency is the best place to work, employees responded with the Workforce Comments located under Related Links. Mr. Randall Exley, The Auditor General, accepted the plaque on behalf of the Agency. Also in attendance was Mrs. Debbie Marois, Program Director of Strategic Planning and Communications; Mrs. Bobbie Holliday-Gordon, Chief of Strategic Plans and Special Studies; and Mr. Chris Higgins, Strategic Plans and Special Studies.